I travelled all the way to the Stamford Bridge Stadium in the Fulham city to watch Chelsea take on the red devils-Manchester United. 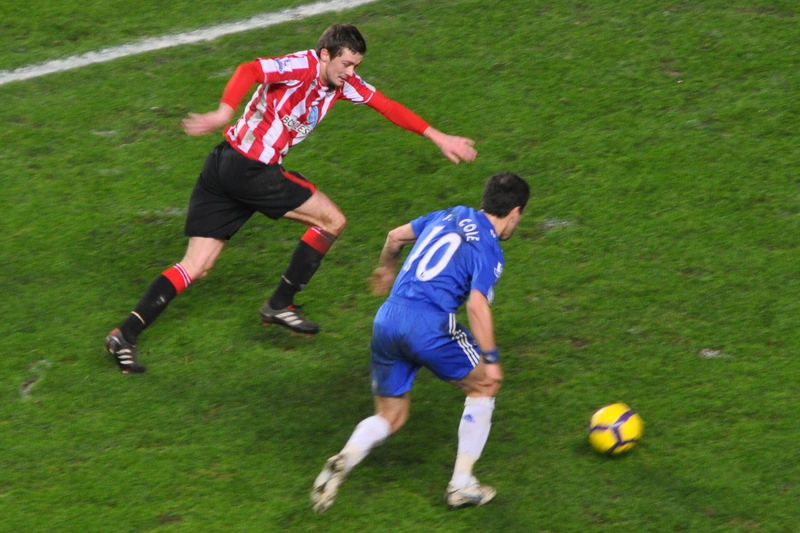 Winning this match was important for Manchester, and for Chelsea, they were well ahead of all the teams in the table, but it would have taken them a step closer to the tile. I need to agree that Manchester United has a world class team, with players like Rooney and Mata, but Chelsea, with their recent winning streaks had their morale’s high. All eyes were on Hazard, as he has had an amazing tournament this year, and Chelsea supporters wanted him to perform today as well. On the other hand ManU supporters wanted Rooney to work his magic, as he has scored or assisted in almost 120 goals in the Premier League Matches. United was looking pretty dominated from the beginning itself, and Wayne Rooney was doing what he does best. At the 22’ Rooney gave a beautiful pass to Valencia, who received it back and then passed it on to Fellaini, who was unable to find another team-mate in the deep end. Though, Chelsea were trying their best, it was United enjoy most possession of the ball. However, at the 37’ Hazard finally found a lead for Chelsea. Oscar passed a brilliant backheel to Hazard, who finished it by sliding a finish under De Gea into the net. ManU 0-1 Chelsea. United’s Rooney and Falcao did make some progress in the second half, but failed to transform it into a goal. At the final whistle, the score still stood at 0-1. This victory by Chelsea made them stand 10 points ahead of Arsenal and 11 points above the red devils, to put them at a touching distance of the Premiere League title in five seasons. It shouldn’t take more than 2-3 matches for the blues to become the champions.